On Friday evening, a State District Judge granted a temporary restraining order at the request of the HPOU. The TRO blocks for now the implementation of Proposition B. 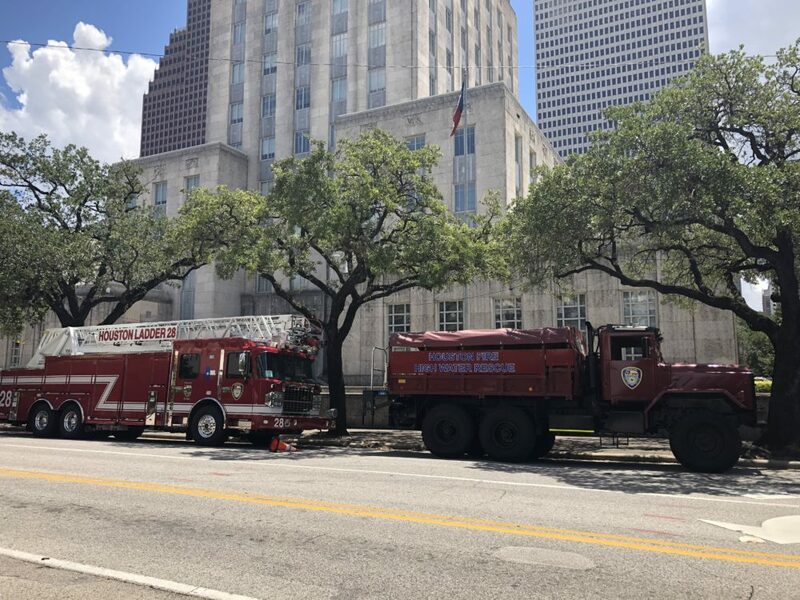 This August 8, 2018, file photo shows HFD vehicles parked in front of Houston City Hall. The Houston Police Officers’ Union (HPOU) has filed a lawsuit against both the City of Houston and the Houston Professional Fire Fighters Association, in an effort to block implementation of a charter amendment granting firefighters pay parity with police officers of equivalent rank. Houston voters approved the amendment, also known as Proposition B, earlier this month. 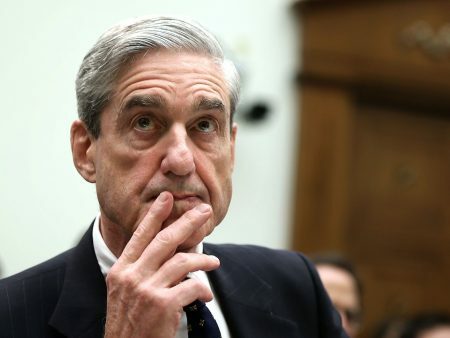 On Friday evening, State District Judge Kristen Brauchle Hawkins granted a temporary restraining order (TRO) at the request of the HPOU, the Houston Chronicle reported. The TRO blocks for now the implementation of the charter amendment. According to the petition filed with the Harris County District Clerk, the police union is seeking an injunction to have the amendment declared unconstitutional. 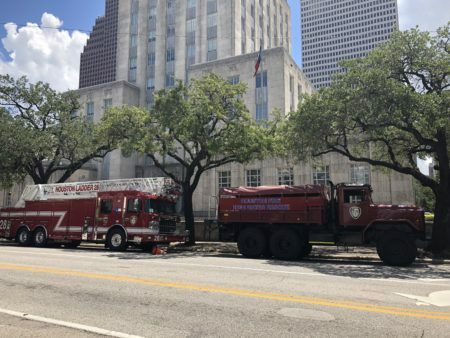 Among the reasons, the police charge that existing state law specifically prohibits tying Houston firefighters’ pay to that of other municipal workers. In effect, they argue, requiring pay parity limits the police union’s own collective bargaining rights. The police union also contends that state law bans the setting of firefighter pay by ballot measure. This last argument is one that Mayor Sylvester Turner has made both before and since the passage of Proposition B. 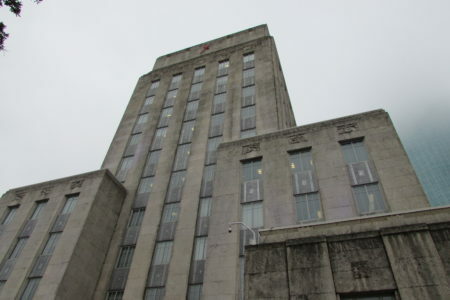 Earlier this week, Houston City Council voted to hire the law firm of Norton Rose Fulbright, as a first step in filing its own suit to block the charter amendment. Both Turner and the police union campaigned actively against the passage of Proposition B in the months leading up to Election Day. Patrick M. “Marty” Lancton, president of the Houston Professional Fire Fighters Association (HPFFA), released a statement calling the litigation initiated by the HPOU a “throw-down lawsuit” and added the police union “is a willing political pawn of a vindictive mayor,” in reference to Turner.